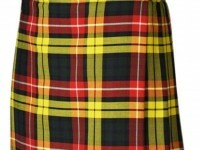 Traditional 8 Yard Tartan Scottish Highlander Kilt 13 oz. Acrylic Wool and Cotton Blend. Black Stewart Modern Light Weight This pure New Wool Tartan is mainly green in color. The Modern color way displays dark bold tones. 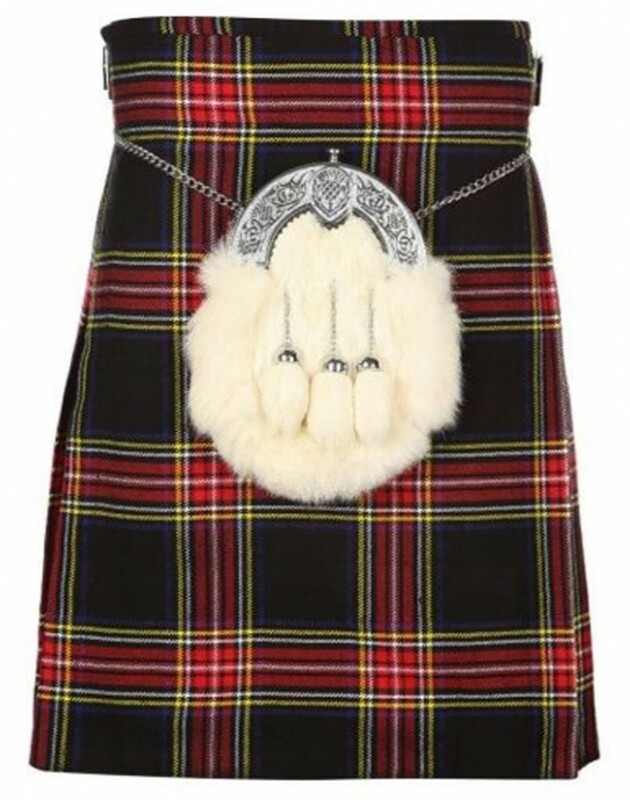 1- Traditional Scottish Kilt Design in light weight tartan fabric of 13 oz. 2- Customizable waist size with standard drop-length of 24 inches. 3- Hand Stitching at pressure points for better hold and reinforcement. 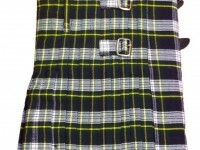 4- Traditional knife pleats of standard width of 1.9 cm at top of kilt. 6- Steel chrome buckles are rust free and zinc free, will add an extra bit of quality. 7- Inner lining with original micro polyester fabric for extra comfort is installed, that will offer sweat control in summer and an extra bit of warm in winter. 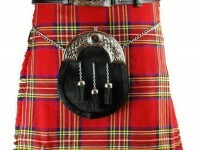 8- Belt loops are 3.5 inches so any of your kilt belt will be useable with this kilt. 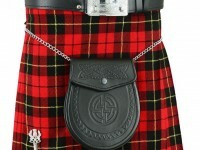 9- Leather straps on both sides of kilt will offer you an extra inch of size adjustment. 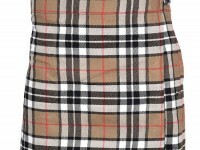 Available Size: 28", 30", 32", 34", 36", 38", 40", 42", 44" and 46".